Annabelle says that the role of Red Riding Hood is challenging because of the acting. “I have been working in the mirror at home to be afraid of the wolf. Joel is the nicest guy and such a sweet person, that it’s hard to be afraid of him,” she says of Joel Sanchez, one of the guest artists from Austin, Texas. Annabelle also says that working with Joel has improved her partnering skills, an opportunity she would not have without The Sleeping Beauty production. When asked about Annabelle Kisler Hathaway Whitworth, assistant rehearsal director says, “It has been my pleasure to work with Annabelle, individually over the past few months, in preparation for her role in Sleeping Beauty. As we worked together, she not only accepted and executed the corrections that were given to her, but she also asked questions pertaining to various steps within her piece to solidify that she was doing them correctly. It is that enthusiasm and willingness to learn, that has propelled her to the level of dance that Lake Charles Civic Ballet expects from its dancers. Annabelle has such a sweet spirit, and she does a beautiful job conveying that through her solo. So what does Annabelle think about the performance now that it is right around the corner? 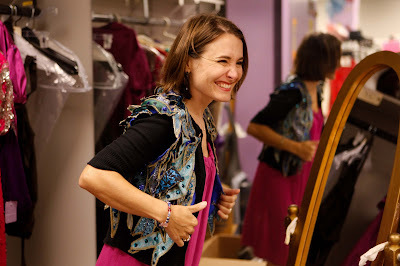 “I am super excited and grateful for the chance to work with the Lake Charles Symphony. I am honored to have the roles I have; it’s weird to think about it now.” Hard work does pay off. Annabelle is the 15 year old daughter of Kay and Irvin Bang. She is a sophomore at St. Louis Catholic High School, where she also enjoys being a cheerleader. 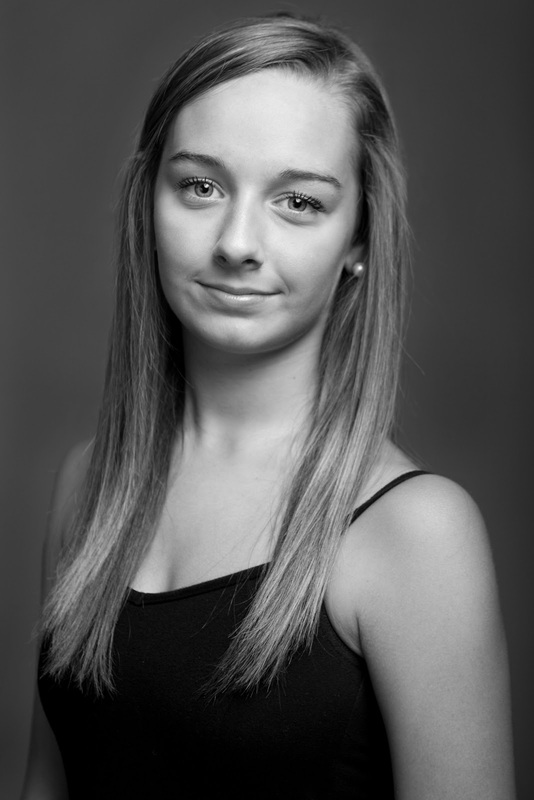 Annabelle has studied ballet for 10 years with Lady Leah Lafargue School of the Dance and Lake Charles Civic Ballet. She has enjoyed many LCCB productions, and especially remembers being a puppet in Rudolph 2009. 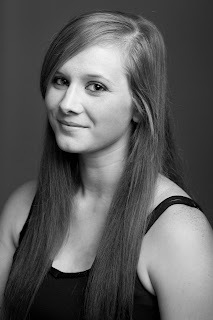 She has also been featured in Daguerreotype as one of the twins and in Rudolph 2011 as a Scottish dancer. Anne has studied ballet at Lady Leah Lafargue Schoolof the Dance for 11 years, where, since last year, she also teaches younger students ballet. She says that the transition from student to teacher has been challenging and has caused her to really examine her own dancing and technique. In Act I of The Sleeping Beauty Anne plays the role of The Village Girl opposite Joel Sanchez of Austin, Texas. Although her partner is out of town, they had the chance to meet this summer, and recently spent a weekend rehearsing here in Lake Charles. She doesn’t foresee any problems getting the choreography perfected for the performance. “[Joel] is a hard worker and he’s the sweetest guy,” Anne said. They are prepared to get the job done. Anne is a junior at McNeese State University majoring in Animal Science. The 21 year old daughter of Darlene and the late Eddie Veillon of Lake Charles hopes to work at a zoo one day. She is looking forward to getting some experience this summer as a volunteer at the Baton Rouge Zoo. Anne has performed in many LCCB productions including Daguerreotype, Clue, Rudolph, Little Drummer Boy, and in ACTS Theatre’s Beauty and the Beast. She is an accomplished singer as well. It’s crunch time at the North Pole. Santa and his elves scurry to finish making toys and load the sleigh before their Christmas Eve deadline. So begins the story of Rudolph the Red-Nosed Reindeer, Lake Charles Civic Ballet’s thoroughly delightful production last weekend. I’ve been to several of this company’s performances, and this show was my favorite so far. The elaborate sets and colorful lavish costumes make the stage pop, but it’s the talented dancers who entertain, amuse, and bring the show to life. LCCB performs only original productions. No stale nuts at our Rosa Hart Theater. The company has been thrilling audiences with the Rudolph production every few years since the late 1960s. The opening scene pays homage to the true nature of the Christmas season with a beautiful dance of Mary, with the Christ child in the manger. Then ballet director Lady Holly introduces Santa Claus. Santa and Mrs. Claus guide the elves through a fun frolicking scene at the North Pole. 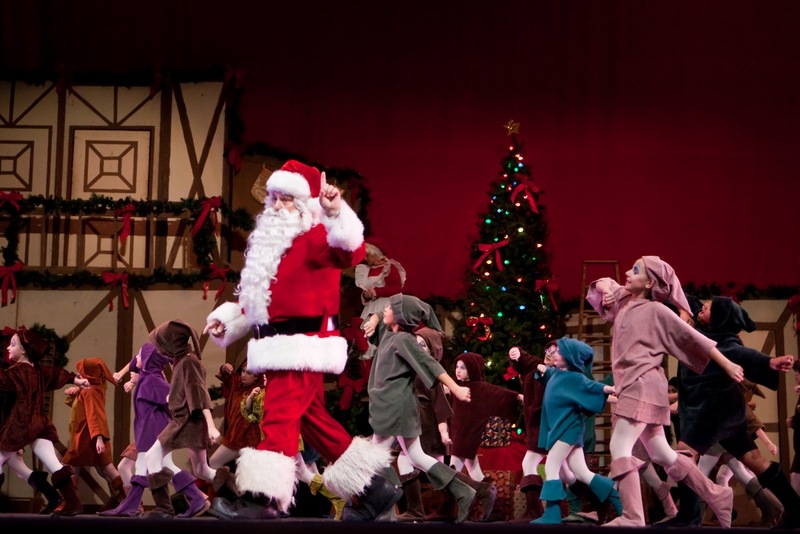 These young performers enthusiastically dance around the stage with wrapped presents and a myriad of toys. Humor is at the forefront here. The elves then take Santa’s list around the world and we see dancers, veiled in gauzy shadows behind a screen, represent exotic places such as Russia, Hawaii, Scotland, Switzerland, Mexico, Arabia, Holland, and Japan. We finally have the pleasure of meeting Rudolph when Santa checks to see if the reindeer are ready for their annual trip. He discovers Rudolph feeling sad and alone. The other reindeer shove, snub, or completely ignore Rudolph and her blinking bright red nose. They believably paw at the ground, strut, swagger, and point their noses haughtily in the air. Rudolph tries so hard to make friends with the other reindeer, to no avail. Santa brushes off Rudolph’s woes. Despondent, the little reindeer runs off into the forest. Magical pine trees comfort Rudolph and Eskimo children encourage and lift her spirits. Then it’s Christmas Eve and we all know the story. Snow and fog threaten Santa’s trek ‘round the world. Here we meet the exquisite Snow Queen, shimmering in a sparkling blue tutu, accompanied by a flurry of graceful snowflakes. Back at the reindeer stable, Santa realizes Rudolph’s shiny nose can save Christmas. Through the magic of theatrics, the audience sees only the beacon and imagines Santa and his sleigh passing through the rows of seats, up into the balcony, and back towards the stage. The grand finale brings the entire jubilant cast out on stage for bows and a much deserved standing ovation. Congratulations to the LCCB on an awesome performance! I can’t wait to see Sleeping Beauty in March 2012! As I watched my son practice for Rudolph the Red-Nosed Reindeer Ballet, I was drawn to the educational experience it provides for children of all ages. I am a teacher who thrives on creative opportunities that will broaden the minds of my students beyond the realm of the everyday learning routine. The history of Christmas as it relates to many cultures, countries, and traditions are embedded within the amazing ballet pieces presented. Santa discusses the rituals of countries such as Russia, China, and Switzerland. 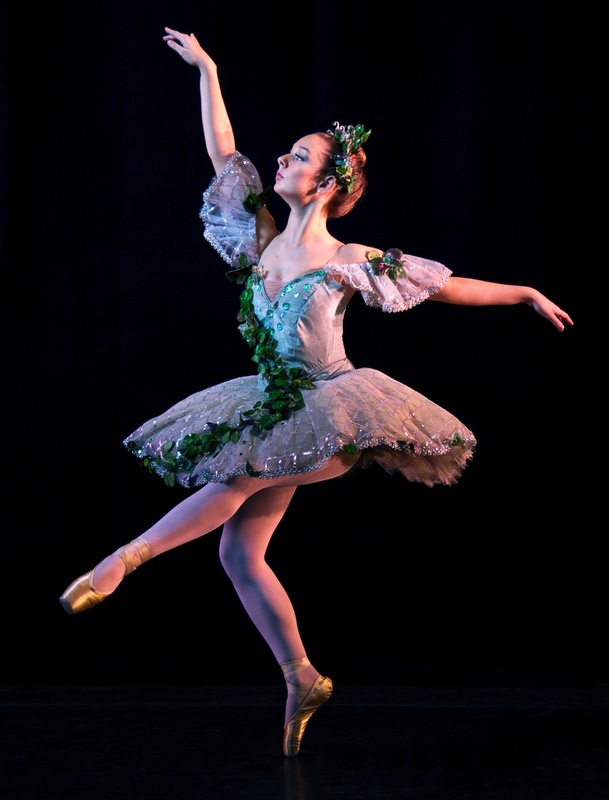 This ballet experience can provide many avenues for culture awareness development. Also, it can provide a plethora of in depth research that will challenge the mind of students across the parish. Teachers could use this opportunity for writing, comparing and contrasting the American culture to those of the countries discussed in the Ballet. State benchmarks and GLE’s definitely can be met on a higher level, which is the goal of all teachers. Students will also be able to develop a love for ballet, theatre, and telling a story through the art of dance. Opportunities like this are those in which education should thrive upon. This total experience could cover a multitude of subject areas and student work. It is a great learning opportunity presented in a creative way. As educators and parents we must take advantage of those opportunities that will broaden the minds of our children. The Lake Charles Civic Ballet can provide that opportunity. Take advantage. Lake Charles Civic Ballet took the opportunity to say thank you to sponsors, arts organization leaders, city officials, and special guests on Sunday, November 13, 2011 at Central School Theatre. The event, Sneak Preview & Behind the Scenes with LCCB, hosted by Heather Ieyoub of KVHP Fox29, gave the audience an inside look at the coming season and an opportunity to get to know the choreographers and principal dancers of LCCB as Ms. Ieyoub put them all in the “hot seat” on stage. Lady Holly Hathaway Kaough stated that LCCB’s ambitious season, which includes the Christmas classic Rudolph the Red-Nosed Reindeer in December 2011 as well as The Sleeping Beauty in March 2012 with the Lake Charles Symphony, would not be possible without the continued support from the community. It was a wonderfully intimate gathering of special friends of LCCB who where treated to pre and post performance fare. 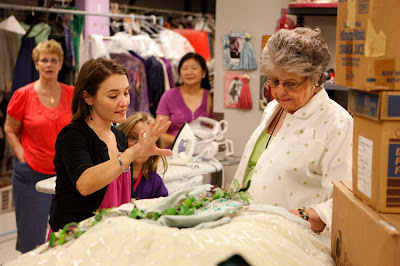 We all had so much fun and look forward to our next opportunity to interact with our supporters: our Costume Preview Party for Patron Sponsors on March 2, 2012 at L’Auberge Lake Charles. If you aren’t a sponsor yet, it’s not too late to join and be a part of all the fun! Yesterday, Performing Arts Society of Acadiana, with the generosity of Capital One and Chevron, presented a daytime performance of Complexions Contemporary Ballet at Angelle Hall UL Lafayette. Louisiana students were entertained and educated during the hour long look into the life of this company and its dancers. Students were shown a condensed version of a professional dancer’s day—from morning until night on the day of a performance. The glimpse lasting 60 minutes carried our students through morning warm up—consisting of barre and center work, on to the daytime rehearsals, and ending with the nighttime show. Complexions male dancers were greeted with hoots and snickers by our audience of middle school and high school students, but were soon awarded cheers and applause. The young audience quickly gained an appreciation for the skills and talents of these artistic athletes. The PASA daytime performance ended after a Q & A session between the Complexions dancers and the students. Later that evening, UL Lafayette provided the location for a Complexions Dance master class taught by Assistant Ballet Mistress Sabra Perry. A master class provides ballet students with the opportunity to build their dance knowledge. The class of approximately 50 dancers was given a brief introduction of the company and its artistic staff then went straight into a barre warm up. Sabra was very personable and gave great analogies to help the dancers learn some of the movements from two of the company’s ballets. All the movements were ballet based, with the upper-body lines lengthened to create the contemporary style. After the class, Ms. Perry answered questions and visited with the dancers. Lake Charles Civic Ballet members in attendance included Elizabeth Gates, Drew Anderson, Ashley Eaves, and Katelyn Chargois. Complexions Contemporary Ballet will be performing tonight at Heymann Performing Arts Center in Lafayetteat 7:30PM. From New York City, Complexions Contemporary Ballet is an artistic treat everyone must see. Photography and ballet are both skilled arts that take years of training to develop. If you ask a ballerina when she mastered her skill of ballet, she will tell you that a dancer is alwaysworking to master the art of ballet. Photography is the same. Combining these art forms can be challenging, but truly exciting. The relationship of photographer and artistic director is not unlike the relationship of the choreographer and the dancer. Lake Charles Civic Ballet has had the privilege of collaborating with several photographers—professional and amateur. For a photographer’s camera to successfully capture a dancer’s motion, the dancer must possess the physique and technique to display the movements and shapes selected by the artistic director, and the photographer must possess the talent and timing to capture the precise moment of the movement. The resulting photograph represents many layers of talent. Years of training, dedication, and skill—for everyone involved—frozen for all time. LCCB is a pre-professional ballet company. 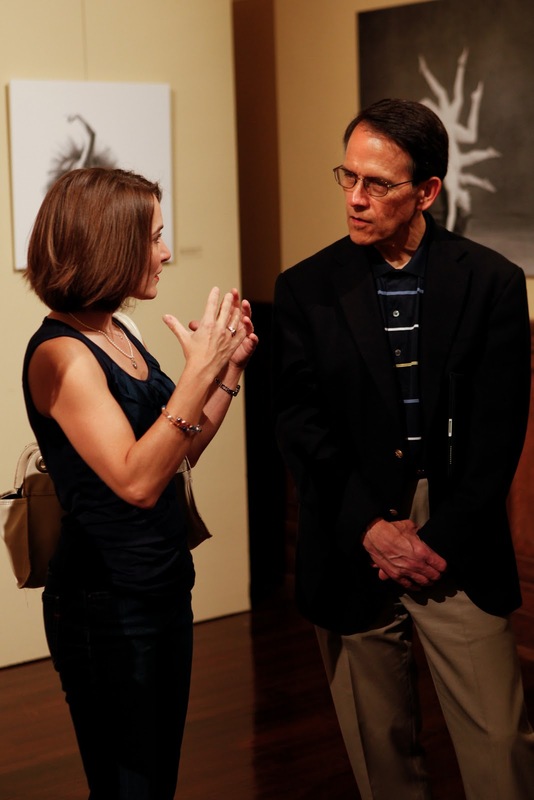 On opening night of Resonating Fields at Historic City Hall, LCCB dancers, choreographers, photographer, and artistic director viewed the exhibit as guests, as well as teachers and students of the art of ballet. Thank you to Lois Greenfield for sharing her talent with the city of Lake Charles. ‘Like’ Lois Greenfield on Facebook at Lois Greenfield Dance Photography Workshops. The City of Lake Charles and 1911 Historic City Hall Arts and Cultural Center are currently hosting a traveling exhibit called “Resonating Fields,” by photographer Lois Greenfield. Since 1973, Greenfield has been photographing dancers in action. Her work celebrates the art of movement, capturing the grace and beauty of dance in its many forms. 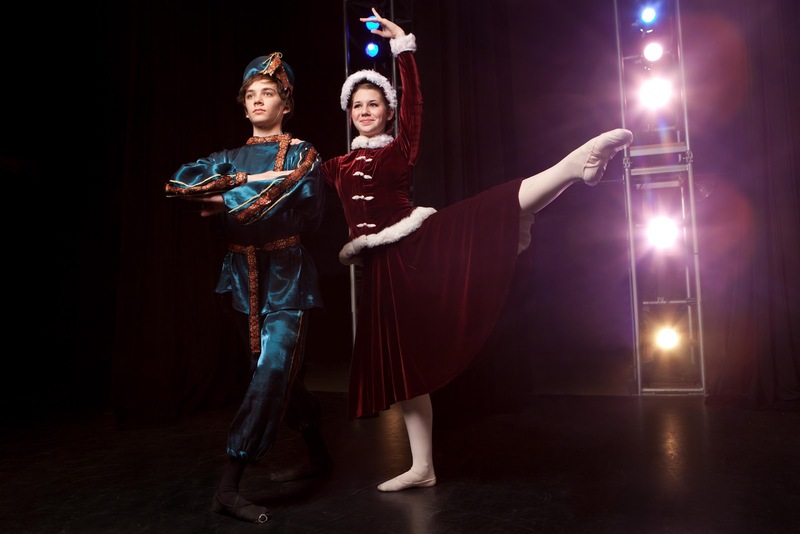 Members of the Lake Charles Civic Ballet are particularly excited about this show. Greenfield’s work inspires and impresses them. They know well the difficulty of the portrayed movements. Photographer Cameron Durham practices his craft all around town, including the ballet studio. This seventeen-year-old home-schooled senior volunteers as a photographer for the Lake Charles Civic Ballet. 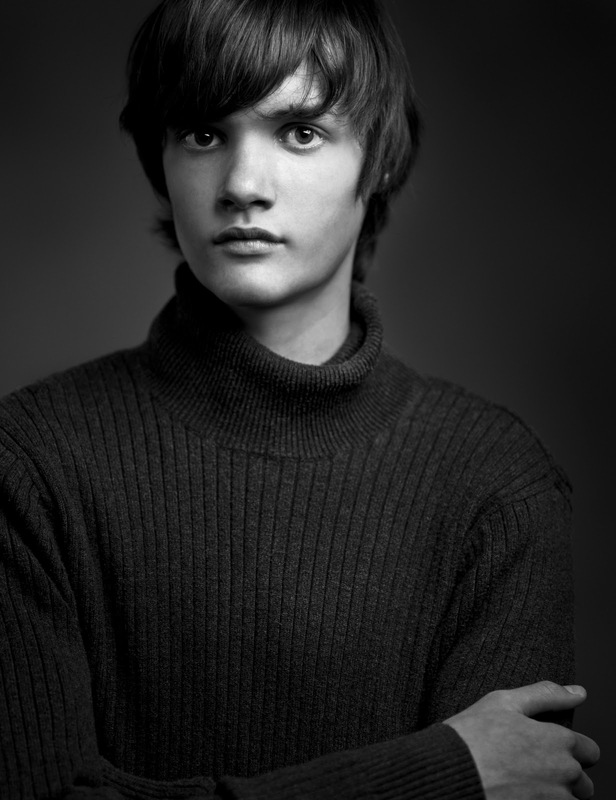 Cameron has been studying photography and taking pictures for about four years. Many of his photographs can be found here on the ballet blog. Expect more of Cameron’s photography here as he hangs out with the LCCB dancers while they diligently prepare for their ambitious March 2012 production of The Sleeping Beauty. Lois Greenfield’s show, “Resonating Fields,” can be seen at 1911 Historic City Hall through November 12. LCCB performed The Sleeping Beauty ballet in 1995 with new costumes and sets. The costume creator for the performance was Costume Designer Ray Delle Robbins. Recently our company returned to Houston—back to Ray Delle so she could revive her creations to their beautiful beginnings. With help from Bobbie Grizzle who has labored beside Ray Delle for over 20 years, the women silently measured and pinned and wrote notes on small tan cards. 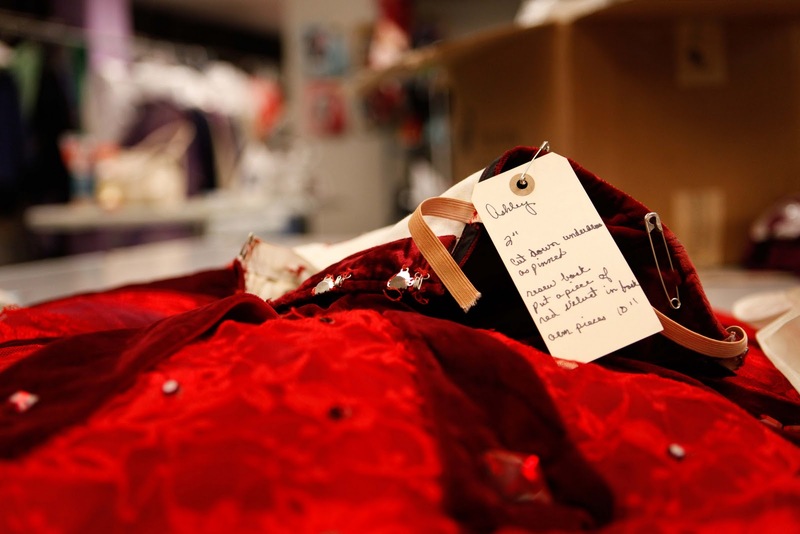 Many alterations will be needed for over fifty costumes worn by the lead characters in the ballet. Ray Delle recalled our original order for The Sleeping Beauty ballet as clearly as if it were yesterday. During her inspection of the costumes on this visit, she found the fabrics and designs still fresh and beautiful, but the tulle skirts and the elastic shows were in need of repair. While she worked with each dancer she answered our questions about her career and her job at Houston’s Theatre Under the Stars. She began her education as an art and drama major, but quickly realized she liked to eat more than she liked to perform so she earned her teaching certificate. 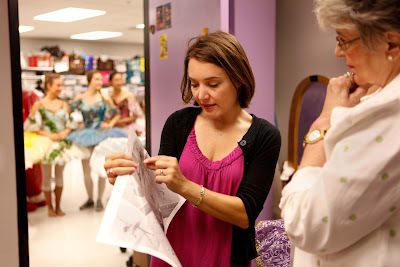 After teaching school for seven years, she worked for 17 years with Houston Ballet in the wardrobe department. For the last 25 years, Ray Delle has been the Costume Shop Manager at TUTS; although her title may change from show to show. Ray Delle manages three shows for TUTS theatre each season. Traveling shows featured at TUTS and her own contract work, fill in her free time. During our fittings, Ray Delle received a visit from her prop man and set man. It was quickly apparent they are a close theatre family as they greeted each other with bright smiles and hugs. Ray Delle spoke of her ‘spells’ with certain colors and explained how her costumes show her love for a color during certain periods in her career. She easily recognizes her creations by the fabrics and her stitching. Ray Delle Robbins will be adding to LCCB’s The Sleeping Beauty extensive costume collection with new costumes for King Florestan XXIV and the Queen, Prince Désiré, Bluebird and many, many more. We are now accepting Sponsor memberships, and individual ticket sales will begin later in the year. Visit our website at www.lakecharlescivicballet.com to reserve your seat at the ballet and witness the splendor of Ray Delle’s work up close and personal.